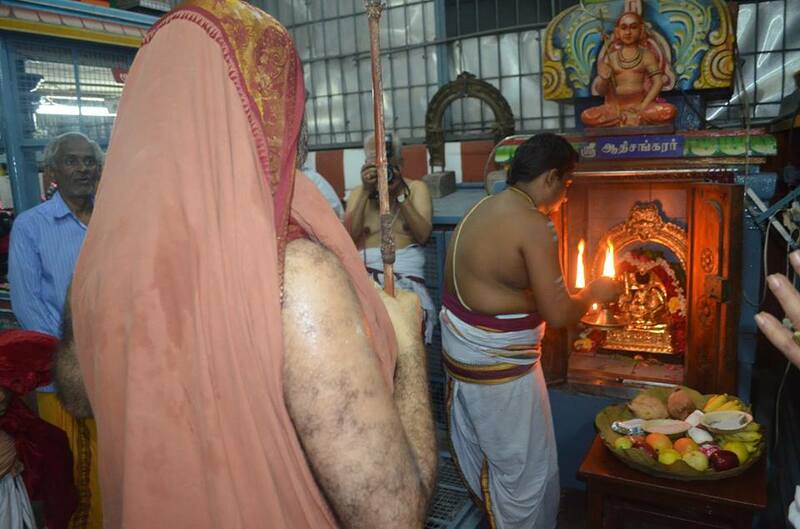 His Holiness Pujyashri Shankara Vijayendra Saraswathi Shankaracharya Swamigal visited the Siddhi Buddhi Vinayagar Temple in RA uram. 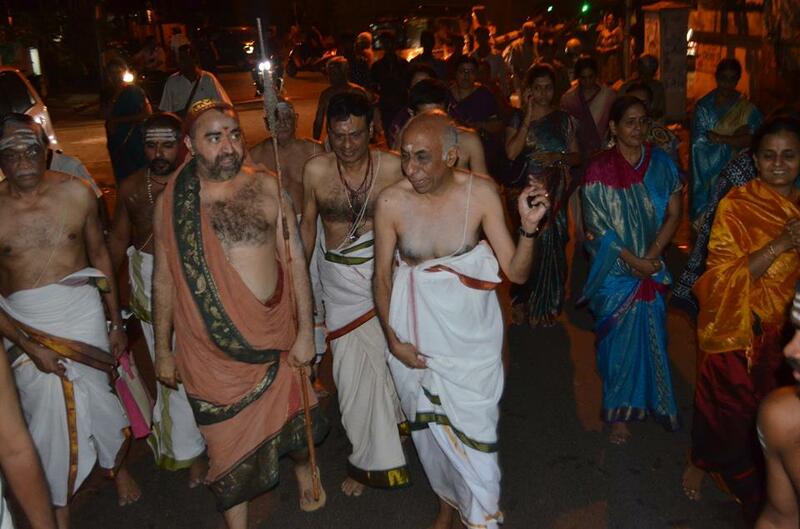 Special Deeparadhana was performed in Vinayagar, Chandramouleeshwara, Tripura Sundari Ambal & Adi Shankaracharya shrines. The trustees of the temple showed various stone slabs inscribed with the date of establishment of the temple and Kumbhabhishekams performed in the temple with the Blessings of Acharyas of Shri Kanchi Kamakoti Peetam. 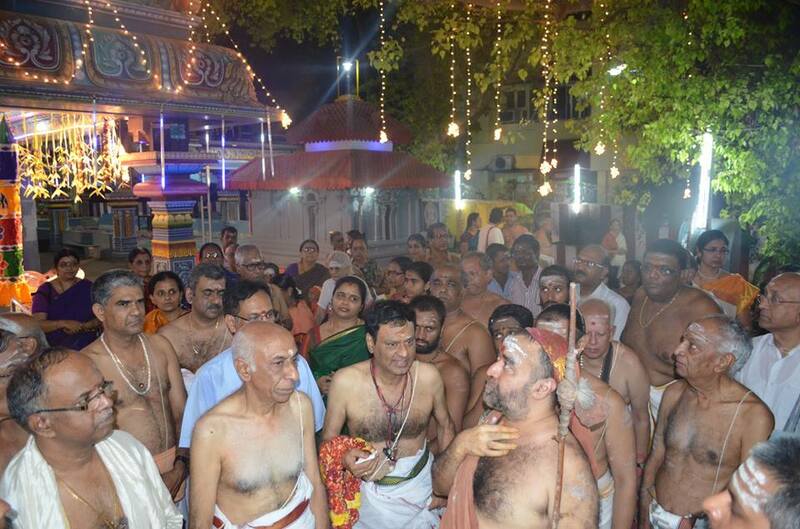 His Holiness then gave Anugraha Bhashanam in the satsanga mandapam. 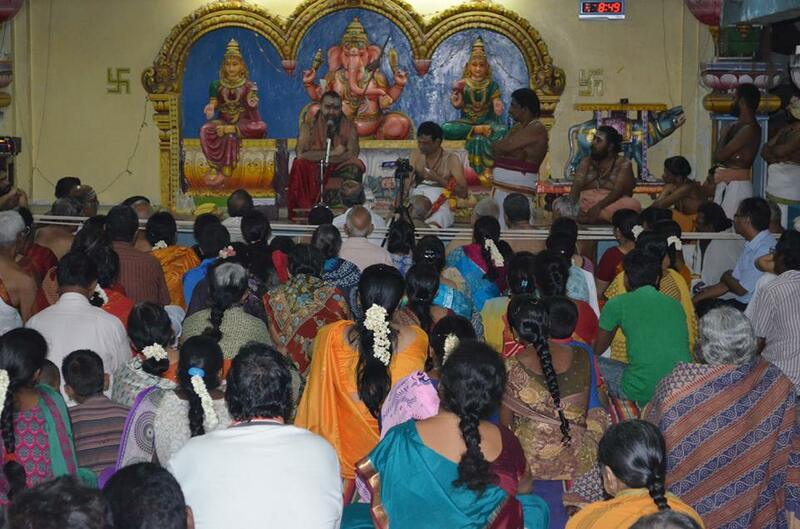 In the Anugraha Bhashanam, His Holiness stressed the importance of being recepient of Vinayaka's Anugraha and told that though worship of Ganapati is prominent in Maharashtra, it is prevalent all over India and neighbouring countries since long years ago. 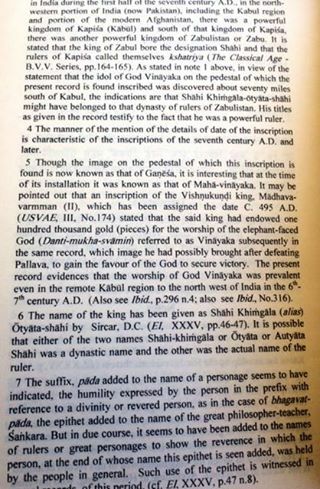 His Holiness quoted an 600 A.D inscription found in Afghanisthan where it has recorded the establishment of a Maha Vinayaka Bimba during the rule of Shahi dynasty. 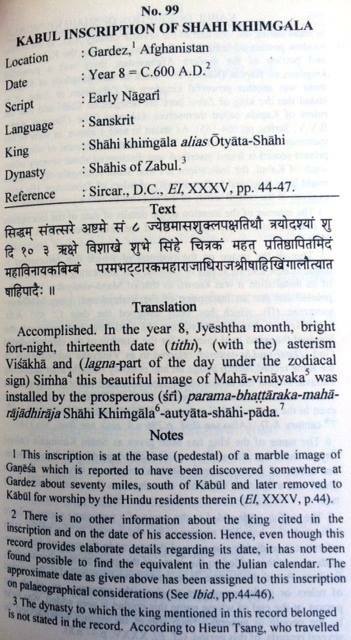 His Holiness also told that the inscription contains a shloka referring to the Trinity, similar to the "Gurur Brahma Gurur Vishnu..." shloka recited commonly in India. 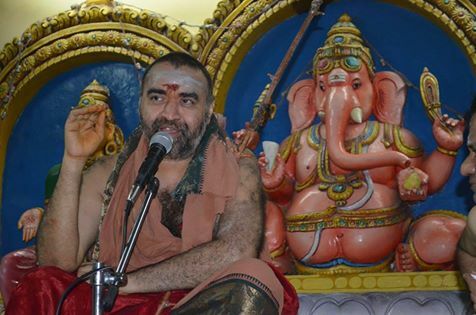 With the Blessings of His Holiness, a Vedic scholar (Salakshana Ghanaapaathi) recited the Varna Krama for the word "Ganapatim" from the famous "Ganaanaam tva ganapatim havamahe " mantra. His Holiness gave Anugraha Prasadams to all the devotees. 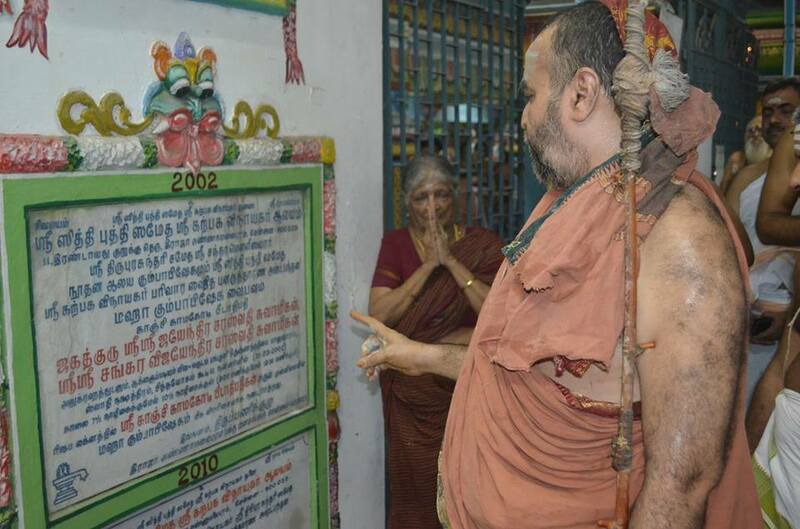 The inscription referred to by His Holiness Pujya Shri Shankara Vijayendra Saraswathi Shankaracharya Swamigal in Anugraha Bhashanam (see previous para ) was accesssed. 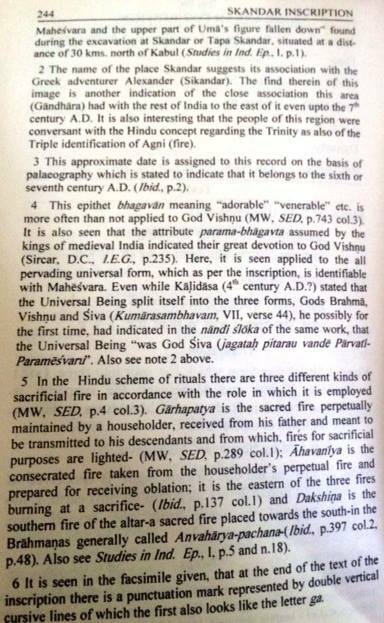 They have been published as "Foreign Inscriptions" Volume IV Part III in the Uttankita Sanskrit Vidyaranya Epigraphs published by Uttankita Vidya Aranya Trust, established by 68th Acharya of Shri Kanchi Kamakoti Peetam, Jagadguru Pujya Shri Chandrashekharendra Saraswathi Shankaracharya Swamigal. The trust is carrying out publication of Sanskrit inscriptions found from BC era all over India and neighbouring countries. The inscriptions are being translated in English for the benefit of public. So far the trust has published more than 10 volumes and is available. 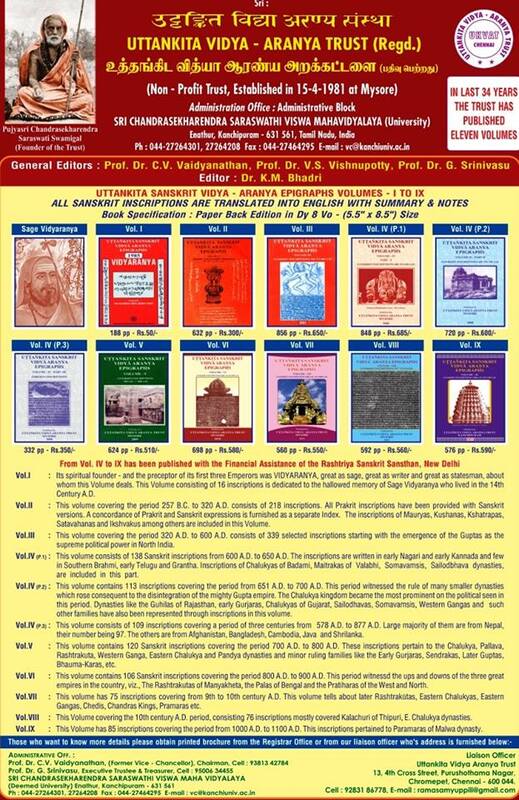 Interested people can write to sankarachidambaram@yahoo.com & ramasamyuppili@gmail.com with Subject "Uttankita Vidya publishing" and cced to kanchimutt@gmail.com for further details regarding the books.